In 2009 Rob Summers was implanted with an electric stimulator that went onto the lining of his spinal cord to try waking up his damaged nervous system. Originally approved as a method of pain relief, this new technology sparked a miracle. Within days, Summers gained the ability to wiggle his toes. A few days later, he was able to move his knees, ankles and hips. Soon after was able to take a few steps on a treadmill. As soon as this story was published in medical journals, a number of research projects were started basing their ideas on the new information that was available. 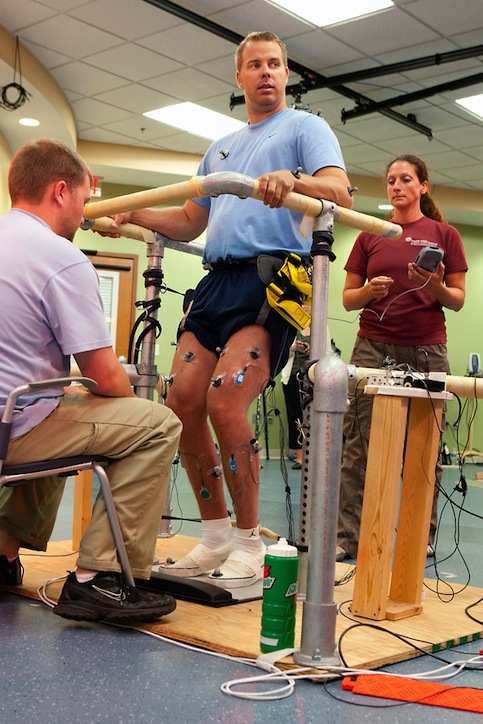 Years before, individuals with incomplete spinal cord injuries who have limited control of their limbs have experienced little to some improvement by partaking in experiments to electrically stimulate their nervous system but reaction of this standard has never been seen in an individual with a complete spinal cord injury. The stimulator works by sending a signal to the spinal cord to walk, stand, or do whatever the command may be. As of right now, Summers is currently partaking in physical therapy for two hours every day. He is hopeful that he may one day regain the ability to walk and run again. With standards of today’s medical technology evolving, there is no saying what is and isn’t possible. After future research studies are conducted, we will learn new information about how our nervous system reacts to technology implementation.